The investigations into the activities surrounding Amaya, Inc.’s 2014 acquisition of online-poker market leader PokerStars continue growing in scope, with the Ontario Securities Commission (OSC) alleging improper use of insider information by several officials of Aston Hill Financial Management in Amaya-associated trades. The allegations made by the OSC on Wednesday name three prominent former Aston Hill executives, including Benedict “Ben” Cheng, Aston Hill’s former president and co-chief investment officer. Other Aston Hill execs named in the OSC filing were Aston Hill’s chief executive officer at the time, Eric Tremblay, and the firm’s then-company sales manager, John Rothstein. A fourth individual, Frank Soave, formerly an investment adviser at CIBC Wood Gundy, was also named in the allegations. 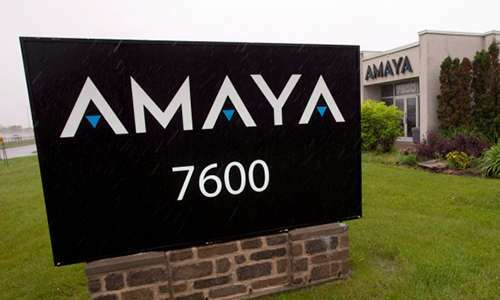 All of the individuals named either profited directly by making trades involving Amaya just prior to Amaya’s announcment of its reverse-takeover acquisition of Oldford Group, the parent company of PokerStars and related brands and business entities. According to the OSC complaint, Cheng was aware of non-public information concerning the PokerStars acquisition, then instructed Rothstein to share that information with others so that all with the insider knowledge could make beneficial financial trades. According to the complaint, “On June 11, 2014, Cheng instructed, encouraged and/or suggested to Rothstein that he inform others about the “Material Facts” and their source before they were generally disclosed, contrary to the public interest. Rothstein then contacted Soave about the information, and then he and Soave profited by making trades involving Amaya in the days and hours before the Stars acquisition was announced. Tremblay was not accused of making any trade involving Amaya for personal gain, but like the other three, is accused of lying to the OSC during the course of the regulator’s length investigation into the run-up of Amaya’s share price in the weeks before the deal with Oldford Group was announced. According the OSC filing, ” In the course of its investigation, [OSC] Staff examined Cheng, Soave, Rothstein and Eric Tremblay under oath . In the course of those examinations, Cheng, Soave and Tremblay made misleading statements to Staff on material matters and/or omitted facts required to make the statements not misleading, contrary to [Ontaria law]. f. $20 per share represented a premium of approximately 66% per Amaya share over the then market price for those shares. Rothstein has a hearing set for April 18 to discuss a settlement proposal made by his defense counsel, while the next hearing involving all four defendants is scheduled for May 4th. The Aston Hill-realted allegations add another legal chapter to the considerable caseload involving Amaya’s acquisition of PokerStars. These allegations appear to be entirely separate from the insider-trading allegations launched against former Amaya CEO David Baazov. Baazov has since resigned hid dual CEO/Chairman of the Board positions with Amaya in addition to the majority of his Amaya stock. Baazov’s own case, in neighboring Quebec, continues as well.